Zobo drink is a popular Nigerian beverage made from dried hibiscus leaves. It is a drink loved by both the young and old. 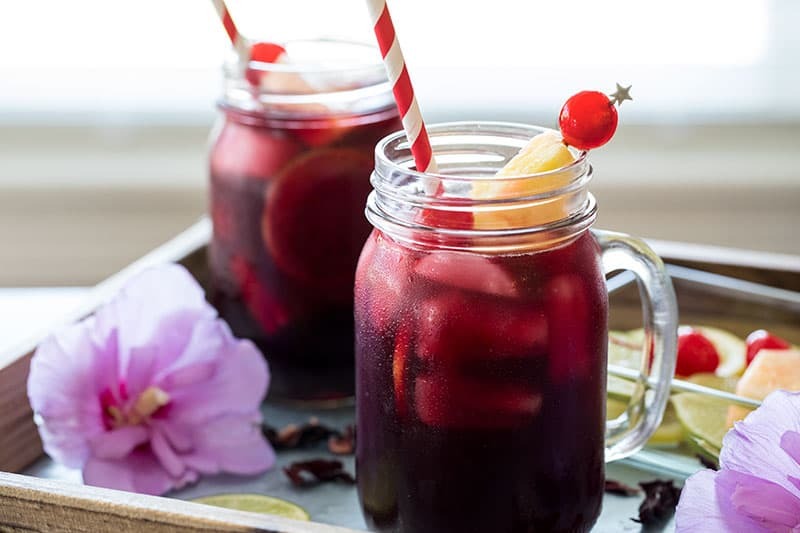 For those who prefer healthy alcohol free drinks, this Zobo cocktail recipe is for you. Wash the hibiscus leaves to take out the dust and peel and cut the pineapple into chunks. Put the zobo leaves in a pot and pour about 6 cups of water in. Add the pineapple chunks and allow to boil for about a few minutes. Peel and chop the ginger and crush the cloves. Pour into the pot and allow it to boil for about 30 minutes. You might need to add a little water, although that,depends on how concentrated you want it. Remove from the cooker and add honey. Stir and leave it to cool, then sieve out the liquid. Pour the zobo into a glass and refrigerate for 1 or 2 hours. Hurray!!! Now you can serve your iced zobo with cake slices or biscuits. You can also garnish with lime slices.